Running the AC or heater when no one’s home is like burning money. And since heating and cooling accounts for 48% of household energy use, you’re talking real money. A programmable thermostat can put that money back in your pocket, while adding convenience and comfort to your day. When properly set, it adjusts the temperature so you use less energy when you leave in the morning and then it ramps back up to a comfortable level right before you get home. It’s a true no-brainer, because once you set it, the thermostat does all the work for you. Plus, your utility provider has incentive programs so you can get one at no cost or at a deep discount. Program your thermostat for fall and winter savings. Can I use a programmable thermostat with a heat pump, electric, or radiant (steam or radiant floor) heat? Programmable thermostats can be used with heat pumps, but are not recommended for radiant or hot water systems. Most heat pump systems are installed with a specific thermostat by your contractor. If you don't have a programmable thermostat, it is best to check with them on the proper model and set-up. A conventional programmable thermostat may not account for the back-up heat of a heat pump, or the different steps and modes of the system. See the U.S. Department of Energy website or consult your heat pump system contractor for more information about the types of controls that are best for other systems. 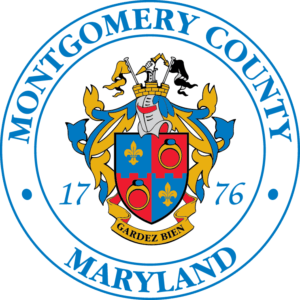 Homeowner Energy Conservation Credit: Montgomery County residents can get up to a $250 Property Tax Credit when a programmable thermostat is installed in a primary residence. Once you have the programmable thermostat installed, you’ll potentially save hundreds of dollars on your utility bill. What’s better than that?